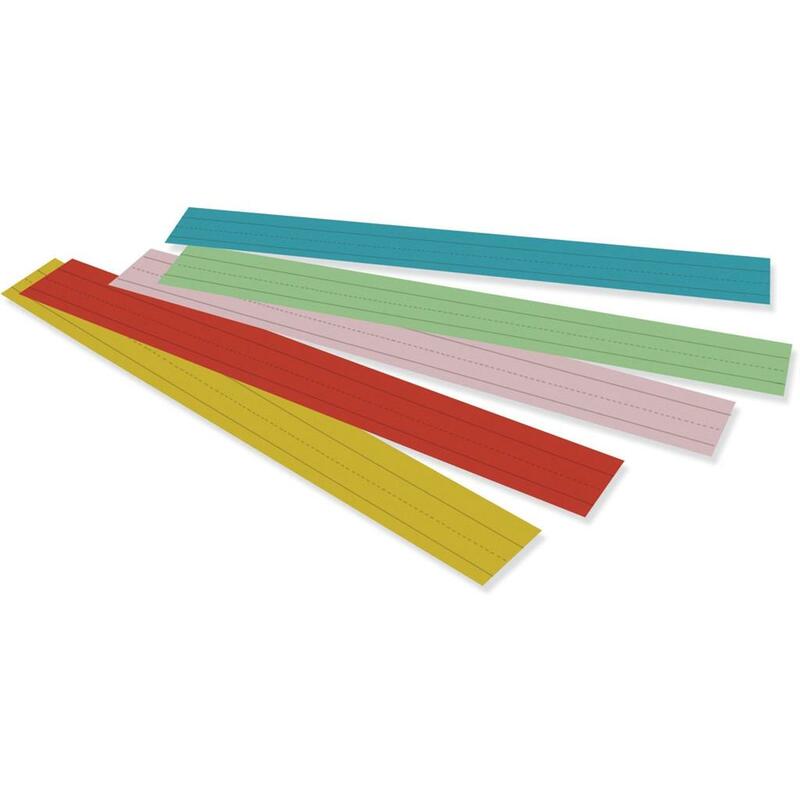 Sentence Strips are perfect for classroom pocket charts, flash cards, desk nameplates or school wall accents. Create your own sight word lists. Sentence Strips offer 1-1/2"" ruling, 3/4"" dotted midline and a single-line rule on the opposite side. Assorted colors include aqua, light green, pink, orange and yellow.